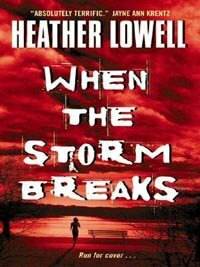 Author: Lowell, Heather Set In . . .
A serial killer has one obsession . . .
Claire Lambert walked into a nightmare on a rainy night in Washington, D.C. Stumbling upon a killer in the midst of his latest bloody crime, she ran for her life -- but not before a head injury caused her to lose her memory, along with her purse and ID. Now a monster knows who Claire is . . . and where she lives. Waking up in a hospital room the day after being attacked -- her mind stripped of all memory of what happened to her -- Claire can only listen with horror to the scenario Detective Sean Richter unfolds before her. A law officer fiercely dedicated to ending the wave of brutal killings that has struck the city, Sean knows that this brave and beautiful woman holds the key to stopping the murderer before he can strike again. Claire is the only victim who has seen the killer's face and lived -- which is why Sean needs her help and will risk everything to protect her . . .
And why a depraved, relentless animal is determined that Claire Lambert must die.